Is A Nissan GT-R More Exciting Than Watching Soccer? The results are closer than you might think. You probably don’t need us to tell you experiencing the speed of a fast sports car is utterly exhilerating. While gearheads get their thrills behind the wheel, others find the rapturous atmosphere of sport events equally exciting. With that in mind, Nissan, which happens to be one of the main sponsors of the UEFA Champions League in Europe, teamed up with experts at Loughborough University in the UK to determine which is scientifically more exciting: a high-speed passenger ride in a GT-R, or a live soccer match? Participants were fitted with wearable technology to monitor their heart rate, breathing rate and electro-dermal activity to examine the physiological effects excitement has. Professional drivers raced passengers around in Nissan GT-Rs at the Circuit de Spa-Francorchamps in Belgium and compared their reactions to attendants at a soccer match in one of the final stages of the championship. On average, participants got more of a kick being driven in the GT-R. While the average heart rate increase was 39 percent at the soccer match compared to 37 percent in the GT-R, the average heart rate was 91 beats per minute at the soccer match compared to 100 beats per minute in the GT-R. Heart rates unsurprisingly increased at peak moments such as when a goal was scored or when thrown around a tight corner. Peak heart rate and breathing rate increase was also higher in the GT-R. "The main differences we saw were the physiological responses of the passengers and football supporters breathing rates," said Dr. Dale Esliger from Loughborough University. During the football matches we saw breathing rate increasing followed by a reduction in breathing rate, as fans held their breath during key moments of anticipation, thus demonstrating their excitement journey across the course of 90 minutes is more of a rollercoaster of emotions. Whilst for the GT-R passengers breathing rate consistently increases, suggesting a more sustained feeling of excitement.” So there you have it. Fearing for your life while being hooned around in a 600-hp Nissan GT-R is more pulse pounding than being in the crowd of a high-stakes soccer match. We never could have guessed that. 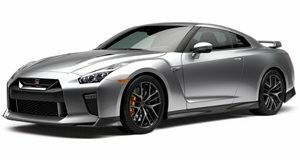 In fairness, while being a passenger in a car is more actively involving and therefore more consistently thrilling, the excitement levels are closer than you would think – average breathing rates were only four percent higher for the GT-R passengers.